Scan It: use your device camera to scan a barcode to check prices and availability. Pin barcode scan to Live tile: From Start screen, click to instantly open barcode scan tool and search for products. Fast application switching: switch from Amazon Mobile to other apps then return to where you left off. Search & buy millions of products right from your Windows Phone device. 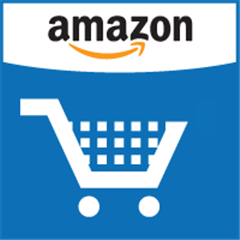 The Amazon Mobile App allows Windows Phone users to quickly search, shop, compare prices, read reviews, access Gold Box Deals, and make purchases on Amazon.com using a simple, yet elegant, interface. To make on-the-go shopping and price comparison even easier, the Amazon Mobile App includes helpful shopping features that allow users to scan a barcode or type a search, to quickly compare prices and check availability. Amazon customers have full access to their existing cart, wish lists, payment and Amazon Prime member shipping options, order history, and 1-Click settings.Â All purchases made on Amazon Mobile are routed through Amazon’s secure servers just as they are on the web. All prices are in U.S. dollars, and all products are from the U.S. Amazon store. Written by: Hyde13 on November 21, 2011.